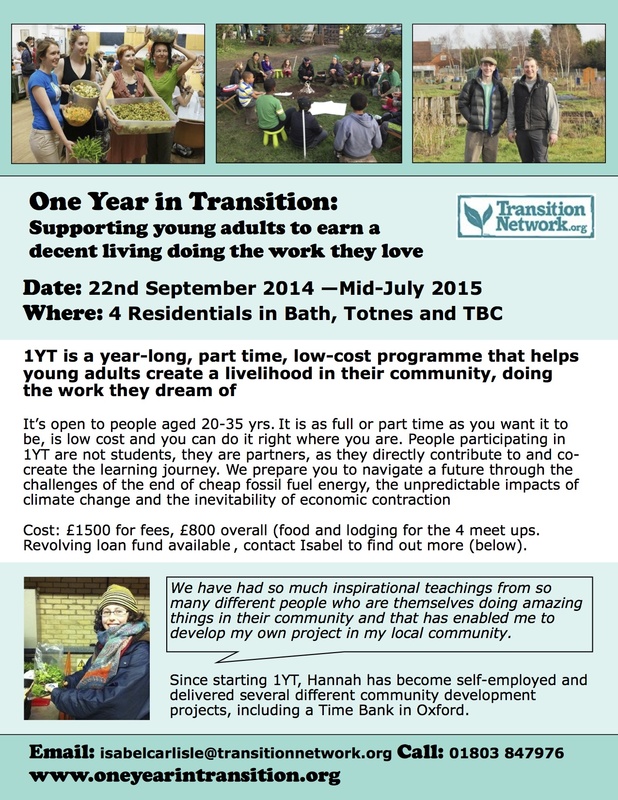 Our associate, Robert Holtom came to us via this great scheme which we are proud to support. 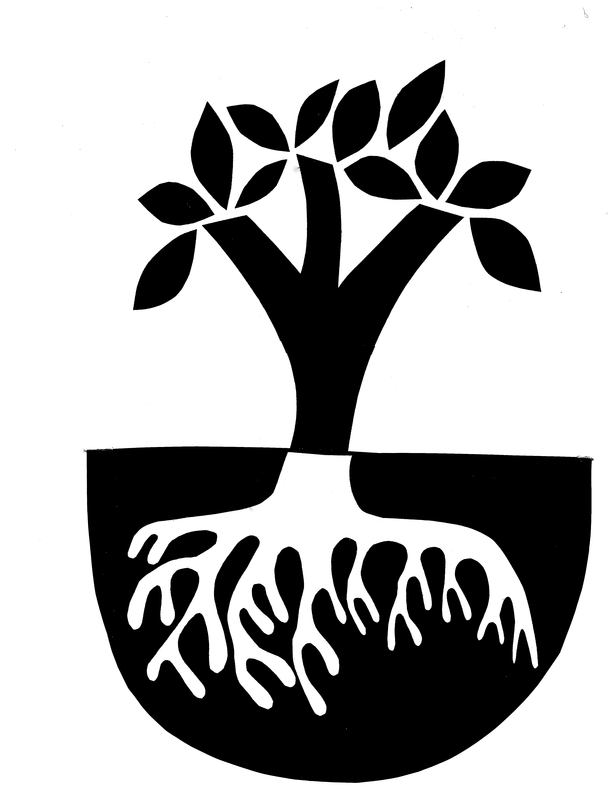 Created by Chris Seeley especially for Narrative Leadership Associates, here is our new logo representing the three elements of narrative leadership (roots: know thyself; branches: only connect; trunk: stand for something). Thank you Chris. 1. Use stories selectively. Stories activate the listener’s imagination and emotions by conveying a real or imagined human experience. That is their particular strength and their limitation. Use stories for what they’re good at and make sure you don’t overload them with data, anlaysis, opinions, argument etc. 2. Listen before you speak. Know your audience and what they care about. You can be very challenging if that is what’s called for but people are much more likely to pay attention to what you have to say if you begin by acknowledging the realities of their situation. Good storytelling demands more than proclaiming your message; it’s a two-way process. 3. Aim carefully. Think about the point you want to make and what effect you want your story to have and choose a story that illustrates your point in action. An audience works out the point of a well-told story for themselves because it gives them a vicarious experience for their imaginations, and emotions to work with. 4. Make it personal. The story does not have to be about you. In fact, it’s often more persuasive if you make someone else the hero or heroine. But you do need to find a personal connection with the story which might reveal your part in it or be as simple as letting the audience know how you are touched, inspired, or affected by the events you have recounted. 5. Make it real. Stories are always about particular characters doing something specific at a certain time in a particular place. All stories are essentially about how characters meet the obstacles that thwart their desires. Make your story come alive with concrete descriptions, three-dimensional characters, dramatic moments, humour and passion. 6. Learn the story not the words. Avoid the common mistake of novice storytellers who kill their stories by carefully writing them out and reciting them from memory. Instead, make sure you know how the story works: the sequence of events and key turning points and trust your innate ability to find the words. Practice telling it aloud and get feedback from a colleague. 7. Connect with the audience. When you tell your story to an audience, make eye-contact; use your gaze both to see and be seen. Your relationship with the audience moment by moment is your best support, even if you are feeling nervous. The power of your story comes as much from your mutual connection with the audience as it does from the words. 8. Use simple language. The ear favours informal, straight-forward language. If the audience has to spend its energy untangling complex sub-clauses and trying to make sense of unfamilar jargon they won’t be paying attention to the story itself and they won’t get the point. Tell the story in your own words and avoid clichés like the plague (no really). 9. Let the story do the work. Do listeners the courtesy of allowing them to make sense of your story for themselves. Resist the temptation to tell them the moral of your story or what it means, it’s self-defeating. Tell your story with conviction and it will stand for itself. 10. Remember we are all storytellers. Stories are how we make sense of our lives and always have been. There have been civilisations that have flourished without benefit of the wheel, but none has ever been devoid of stories or storytellers. If you can tell a good story, you’ll always have a willing audience. 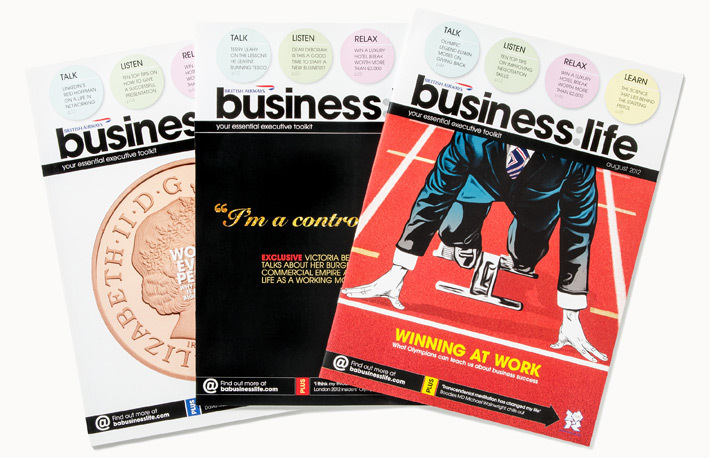 Top 10 tips on using storytelling in a presentation – British Airways Business Life. Business advice and inspiration, insider tips from the world’s top CEOs, analysts and entrepreneurs..
We’re in the Sunday Times! I was thrilled today to see this extract from Telling the Story published in The Sunday Times. There are times in our lives when the stories through which we constitute our identity no longer make sense. Illness, bereavement, divorce, redundancy, new job, promotion, relocation, falling in love, marriage, parenthood and other major life events can cause us to question the familiar stories we tell ourselves and others about who we are. Many of us experience something like this at some point in our lives. At such times our identities are threatened. They can become particularly malleable and open to change but also liable to be frozen defensively. And it’s not just individuals who are affected in this way; the stories that sustain groups, societies, nations, and whole civilisations also collapse. It’s all a question of story. We are in trouble just now because we do not have a good story. We are in between stories. The old story, the account of how we fit into the world, is no longer effective. Yet we have not learned the new story. Put another way, the old story of the industrial-growth society has passed its sell-by date. We know that it no longer works (indeed that it has only ever worked for a privileged minority) and many of us crave a different kind of social, business and political leadership that is more focused on helping us find new and healthier stories than on propping up the old one. We are already – collectively and individually – searching for new stories but it seems clear that we can’t go from the old story to the new story without experiencing a dark night of the soul, a place of narrative wreckage, a shifting, confusing time of emptying that will allow something else to emerge. It’s also questionable that we should be looking for the new story at all. We should not underestimate either the importance or the difficulty of this essential task. It is at times such as these, when old certainties are collapsing, that we are at our most vulnerable to manipulative stories that blame others and promise simplistic solutions. As John Michael Greer points out in The Long Descent, our situation is not a problem that can be solved but a predicament to be lived through. It calls for grown-up, post-heroic leadership and responsible, adult citizenship. Only then will we end our attachment to the old story and learn how to live well in the “multi-storied” space that exists somewhere between the apocalyptic story of catastrophic collapse and the utopian story of socio-technical or back-to-the-land solutions. In story terms, the danger is that we will grab on to yet another heroic narrative, hoping that we can put things right with a bit of magic, luck and courage. 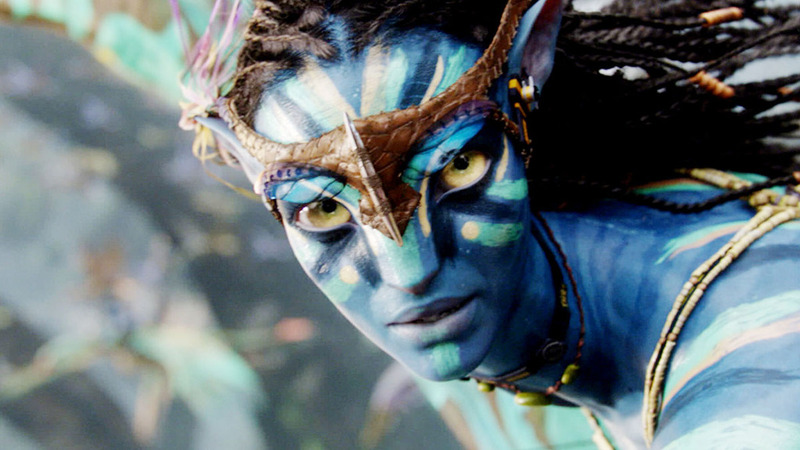 Hollywood abounds with such environmental blockbusters: The Day After Tomorrow, Avatar, The Core, 2012, to name but a few. They are entertaining adventures but have little to teach us. It’s time to slacken our grip on the Hero’s Journey (always a male archetype) and look to other types of story to guide us. I find myself asking: what stories would we tell if we considered our purpose to be neither destroying nor saving the world but learning to live more beautifully in the world that we have? Perhaps our stories might resemble more closely something like that told in the award-winning Beasts of the Southern Wild, which shows the very plausible consequences of melting icecaps, massive storms and rising sea levels on a group of misfits, outcasts, and exiles living below the radar in ramshackle huts and boats on the wrong side of the levee in southern Louisiana in a community they call the Bathtub. The film is a blend of magical realism and gritty drama that above all champions the importance of community. People struggle to survive but never forget to celebrate the extraordinary adventure of being alive, finding beauty even in the midst of death and disaster. It is easy to become dispirited and overwhelmed by the difficulties that surround us; it is so much easier to pretend that they do not exist or to believe that it’s not worth doing anything because nothing we can do will make any difference. Yet we need not lose heart; there is much joy to be found and much good we can do by living more simply and more harmoniously with our planet. We might not be able to change the story in one fell swoop; nevertheless the stories we tell and the stories we live do matter. The third in a series of 10 short clips about storytelling and narrative leadership from Geoff Mead’s new book Telling the Story: The Heart and Soul of Successful Leadership. This one invites us to look at what larger sense of purpose is served by the stories we tell. It is tempting to think that if we just learn the techniques of storytelling we’ll be able to tell a compelling “leadership story” when we need one. But unless we know who we are and what matters to us we cannot authentically stand for anything; unless we open ourselves to other peoples’ stories we cannot expect them to be open to ours; unless we are willing to commit ourselves to something that is grounded in reality and helps people connect with worthwhile purposes we are merely peddling dreams or – worse – trying to manipulate others for our advantage. And these three elements of what I call Narrative Leadership are intimately and inextricably connected. 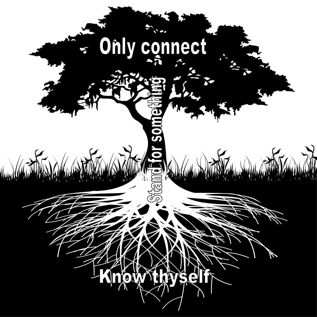 The metaphor of a tree expresses the relationships between the elements in a lively and dynamic way: the roots of the tree represent the practice of know thyself; the branches and leaf canopy correspond to only connect; the trunk symbolises stand for something. The tree draws sustenance from deep roots which anchor it firmly and enable it to grow: the stronger the root system the greater its potential to support and feed a substantial trunk and an extensive canopy of interconnected branches, twigs and leaves (through which it can absorb and convert light into chemical energy). A healthy tree is able to make the most of the resources and opportunities in its environment, contributing to the eco-system as well as benefiting from it. Like a tree, our leadership practice grows organically. As we come to know ourselves better, our roots deepen and we tap the source of our sense of purpose and vocation; as we reach out and connect with other people we better understand what the world is calling for; nourished by a sure sense of who we are and what is needed, we can find the courage and determination to stand for what really matters. We flourish and grow as leaders by attending not just to one or two, but to all three practices together. What is the alternative? Weak rooted trees and people topple in the wind; they wither if they don’t put out branches and leaves; they remain stunted if they don’t develop a strong trunk. Know thyself; only connect; stand for something. To read more about the art of narrative leadership, read my new book Telling the Story: The Heart and Soul of Successful Leadership published next month by Wiley/Jossey-Bass. Click on the image below to access a special 30% pre-publication discount and to read and download a free sample chapter. Are you stuck in an old story? If you are putting a lot of time and energy into trying to develop a new story for your organization and finding that the more you strive to change the story the more you get bogged down in the old one then you might be caught in a Monkey Trap. In parts of India where people still catch monkeys to eat, they put a morsel of food inside a hollowed-out gourd which is staked to the ground. 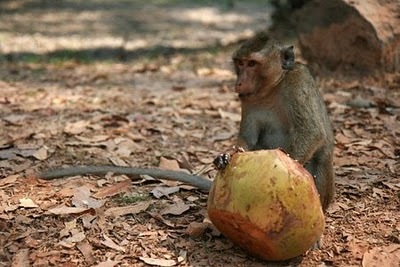 There is a small hole in the gourd, just large enough for the monkey to reach through and grab the bait inside. The monkey clenches its fist round the food and, overcome by greed, cannot remove its hand. If it refuses to release its prize, the monkey is caught, captured and eaten. The fact is that changing our stories isn’t easy and usually the hardest thing is letting go of stories that have served us well enough in the past but have become outmoded and dysfunctional. Sometimes even high stakes are not enough to release our grip on such stories – especially when we are unwilling to bear the short term consequences of facing long term issues. Nevertheless, as leaders, we need to understand how and when to let go of old stories – as well as developing the skills to tell a good new story – because the stories we tell are fateful: our ability to change ourselves, our organizations and our world depends on our capacity to re-imagine them. In a profound sense, nothing changes unless the stories change. • What “big story” is your organization in right now? • What types of leadership story are you telling? • How well do they fit the changing environment? • What types of leadership story do you really need? • What stories are you finding it hard to let go of? • What stories should you hold on to at all costs? Narrative Leadership is about the stories we tell and the stories we live; the stories that shape us, our organizations and communities, and our worlds. It’s about differentiating between those stories that serve our human needs and those that don’t; about knowing when to hold on to a story and when to let it go. Telling the Story opens a door into the world of narrative leadership, showing how leaders affect our understanding of what is possible and desirable through the stories they tell and embody. This book will help executives, managers and concerned citizens to identify what stories are and how they work; when to tell a story and how to tell one well. It offers a challenge to consider the purposes behind our stories: what are we leading for? It will help practitioners identify their own authentic story and use this to lead convincingly. Using tips, exercises and examples, Telling the Story will help leaders build on their own current practices using the vital art of narrative leadership. This book is both practical and thought–provoking, to encourage leaders to consider the big stories of our time and how we can use our own stories to create and take responsibility for the kind of future we want. “Geoff Mead is a master of both the theory and practice of narrative leadership. Telling the Story is refreshing in its frankness and insight. It left me feeling challenged, energized and inspired to think about the stories I want to live and tell through my own leadership. Wonderful reading for anyone who wants to enhance their positive impact on the world.” —Lindsay Levin, Founder and Managing Partner, Leaders′ Quest. Click on the image to pre-order from Amazon now.